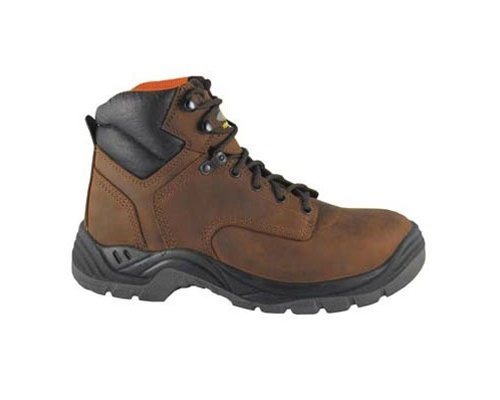 A leather lace work boot with steel toe and padded collar. Has a round toe and direct attached sole. Also has a steel shank for arc support and moisture wicking lining making the boot waterproof. Also comes in children sizes.